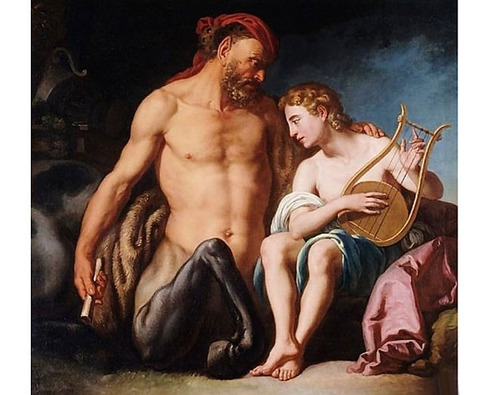 Known for his calm disposition and for being one seriously hot DILF, Chiron is credited with giving mankind the art of healing and medicine, but that’s really nothing compared to what he gave to young Achilles. The Greek God Hottie is also represented by a minor planet whose unusual orbit goes from the inner reaches of Saturn to the outer reaches of Uranus every 51.5 years. So all those people born in 1963-65 need to get ready for their Chiron return. 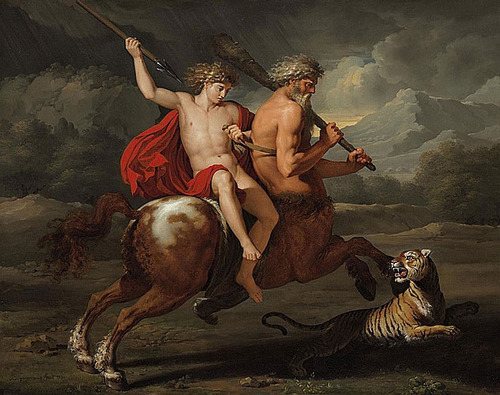 Astrologically, it’s worth noting Chiron moved into Pisces last April during all of those Cardinal Grand Cross meltdowns and will make its home there for the next 8 years or so providing us plenty of cosmic energy to heal and be healed. Since the impetus of Chiron is THE WOUND, my spread begins there. And since most of us don’t have the desire to live in agony without putting up some sort of shield for self-defense, I’ve also added that into the mix. 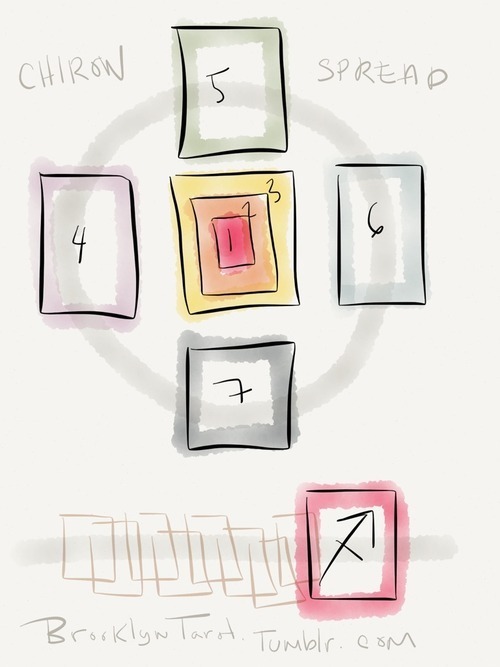 Stack the first three cards on top of each other, placing the shield on top. 1. What caused my deepest, unhealed wound? 2. What has this wound evolved into today? 3. What do I use to shield my wound from others? 4. How can I release my shield? 5. What is my healing gift? 6. How do I go about using this gift? 7. Who/what needs to be healed? If Temperance is close, you’re nearer to being released from your pain but your gift for healing could also have a shorter shelf-life. If Temperance is far, then you will carry your pain for a longer period of time, but also have a long period of healing others. If Temperance appears in the spread above, you may already be receiving healing from another. Use your intuition here based on what position it appears in. * If you’re using a deck that associates a different Major Arcana with Sagittarius, use that card instead. 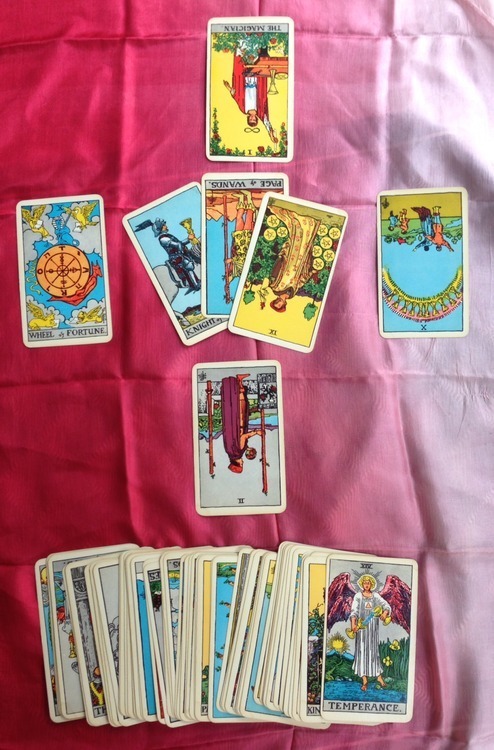 See the interpretation of this reading here. Please share your spreads, too!